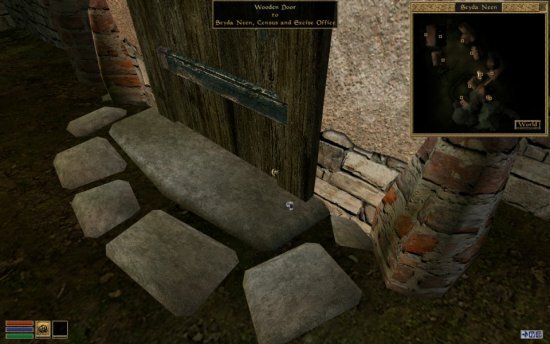 Adept Cheater’s Ring is a mod for Morrowind that adds to the game a ring that makes available to the player (through a script) various “cheats”. These include things like high attributes, high skills, specialist spell effects, and assorted spells (a more detailed overview is set out in “use”). 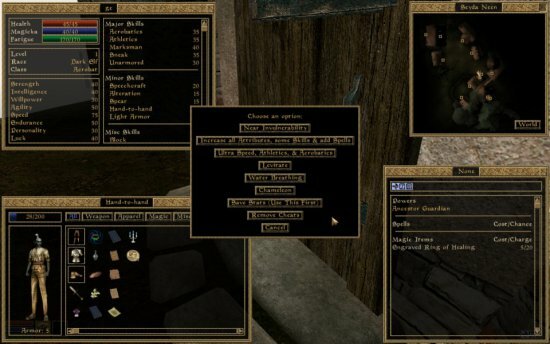 The script in this mod is derived from Baratheon79’s Cheat Ring which is similar though I like to think the functions (cheats) I have added have slightly more use particularly when testing mods, the reason for which this mod was created. Makes health magika and fatigue above 1000pts also adds 1000pts constant effect health, magika and fatigue regeneration. Increases all Attributes, handtohand, security, sneak, athletics and acrobatics also adds 3 spells; unlock on target 100pts, damage health 1000pts in 1000ft on target, and damage health 1000pts on touch. Sets speed, athletics and acrobatics to 400 making movement very fast but difficult to control. Adds constant effect levitation 400pts. Adds constant effect water breathing. Saves your stats so they can be restored when removing cheats. Restores your stats to the state they where in when you saved them. If you forgot to save them using this will cause you to die on exiting menu mode. Download the mod in a zip from this site. There's the ring down on the ground.